إن فندق The Grand Hotel بموقعه الممتاز في Sydney CBD هو نقطة انطلاق جيدة لنزهاتك في سيدني. يمكن من هنا للضيوف الاستمتاع بسهولة الوصول إلى كل ما تقدمه هذه المدينة النابضة بالحياة. كما يمكن الوصول بسهولة إلى ‪Dobell Memorial Sculpture‬, اوستراليا سكوير, ‪Opal Discovery Centre‬. إن The Grand Hotel حريص على توفير الراحة للنزلاء، فلا يوفر الموظفون جهداً في تقديم أفضل الخدمات وضمان حسن الاستقبال. يقدم الفندق خدمة التنظيف يوميًا, مرافق مخصصة لذوي الاحتياجات الخاصة, تخزين الأمتعة, واي فاي في المناطق العامة, غرفة عائلية لضمان الراحة القصوى لضيوفه. تنعكس أجواء The Grand Hotel في غرف الضيوف.غرف لغير المدخنين, مروحة, تلفزيون, ستالايت/ تلفزيون الكبل, ثلاجة هي بعض الميزات الموجود في العديد من الغرف. كما أن مجموعة الخدمات الواسعة الموجودة في الفندق لضمان راحتك تترك لك الكثير من الخيارات لقضاء وقتك أثناء فترة إقامتك. يشكل The Grand Hotel بخدماته الراقية وموقعه الممتاز، قاعدة مثالية للاستمتاع بإقامتك في سيدني. تعليمات تسجيل الوصول: يُرجى ملاحظة أنه في كل عمليات تسجيل الوصول التي تُجرى يوم الأحد، يجب الاتصال برقم هاتف العملاء في الفندق (عامل التنظيف) من أجل دخول بيت الشباب. يتوفر تسجيل الوصول من الساعة 02:00 ظهرًا إلى الساعة 09:30 مساءً أيام الأحد ومن الساعة 02:00 ظهرًا إلى 01:30 صباحًا من الإثنين إلى السبت. لا يُسمَح للقُصر بالإقامة في العقار إذا لم يكن هناك وصيّ قانوني أو أحد الأبوين. The hotel location is excellent. 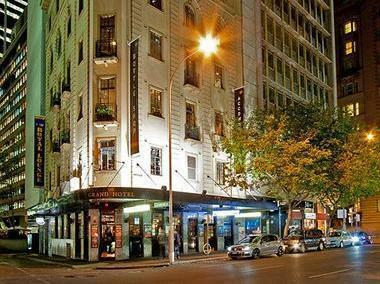 it is only 200m from Wynyard and 10 minutes walk to Circular Quay (Opera House). The room is quite small but clean and tidy. But we have to share shower room and toilet with another guest. It has only basin in room. It has bar on ground floor of the hotel but not noisy. 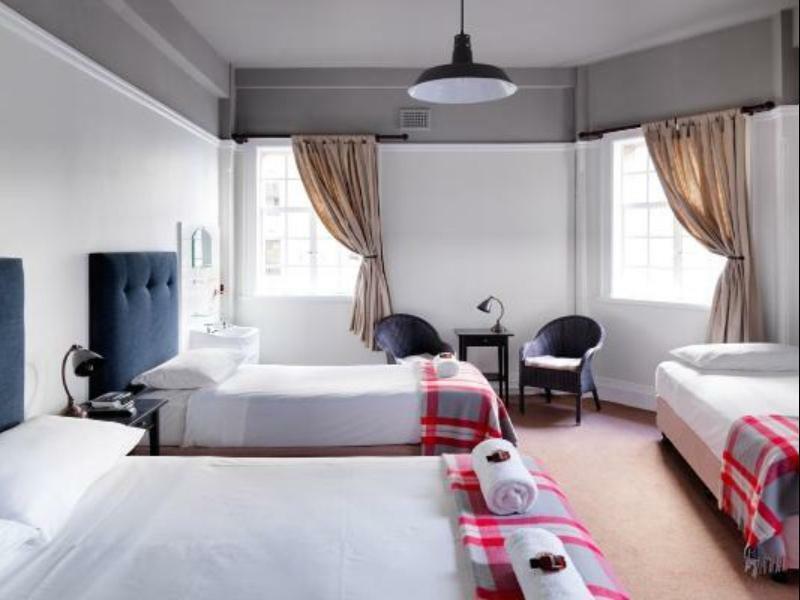 In overall, it is worth to pay to stay this hotel as it is in the heart of Sydney and price is affordable. Great location as it is near to circular quay, and walking distance to darling harbour & The Rocks. Friendly staffs and you have to check in at the bar down there. Able to place my luggage after check out and take a shower before i leave to airport as it was a shared bathroom. Free simple breakfast although not mentioned in the booking. There was only a small fan in the room so it was quite hot during the summer. Definitely recommend to those on a budget trip but want a comfortable hotel with a strategic location. I really enjoyed my stay at the Grand Hotel. 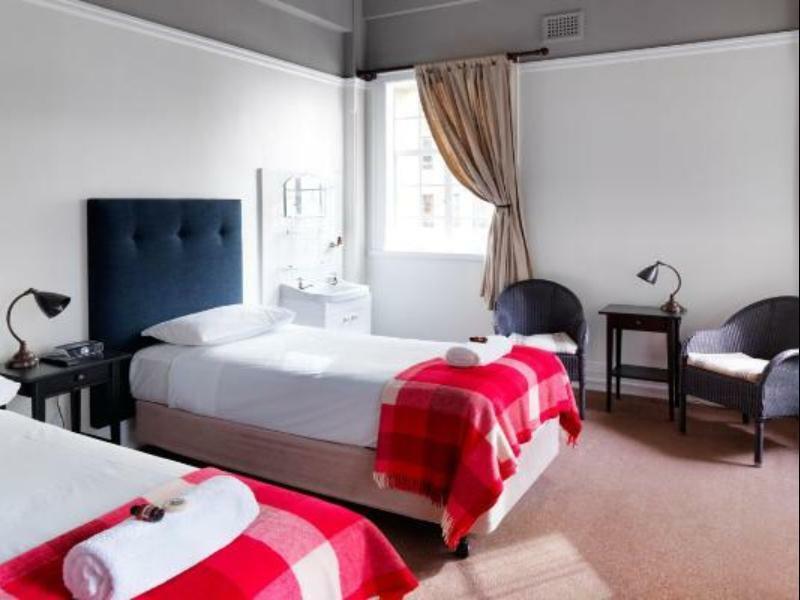 The location was perfect, the room and bathrooms were clean and good quality, the staff was friendly, there was a beautiful kitchen that was open all the time with free coffee and food and there were 3 excellent bars in the building! Will definitely stay there again. 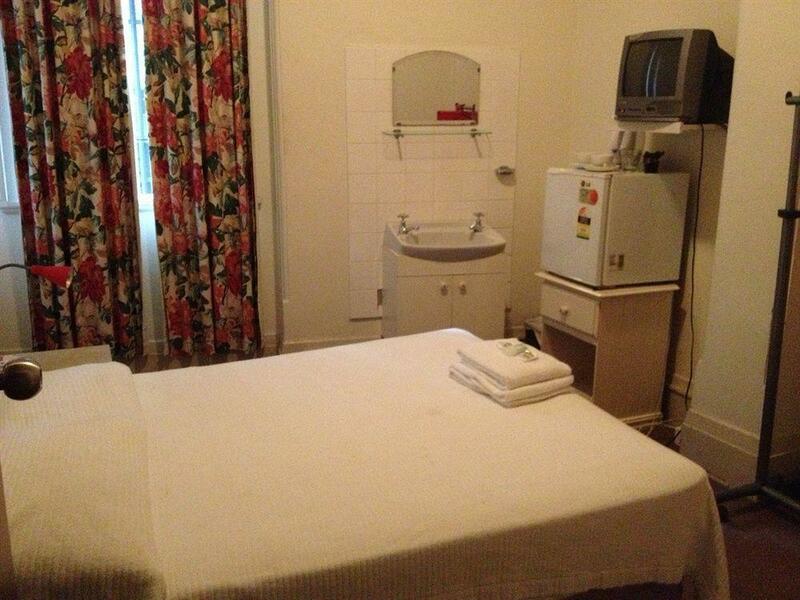 Pros: Good location, close to everything in CBD. Cheap. Bathroom / Toilet is clean even if it’s shared. Comes with a free beeakfast even if it’s not included in the booking you made. Great hospitality, you have to check in at the Pub. haha Cons: Manual elevator. But I find it great experiencing a manual elevator tho. Just wanted to rest. Great hotel. Value for money! Breakfast room is a real bonus, open 24 hrs! Need to be prepared to share a toilet and shower! Close to cruise ships, train, buses and Frankie’s Pizza! What a great spot to explore Sydney from! Admittedly, my partner and I were only in town for a 3 day business conference (so we didn't do much exploring) but we could see the value of the location for sure. The 24 hour breakfast room access was a gamechanger too, as we had to leave super early every morning, so this really helped. Sydney isn't cheap, so this place is the perfect combination between affordable and cheerful. The room is pretty small and it doesn’t have bathroom. The good thing is the staffs are pretty cool and helpful. The location is good enough for you to walk around. I would not recommend this hotel, tho. Location is great to Sydney harbour, walking distance no hills. Great value for money, nothing flash, but in saying that nothing wrong with this place, breakfast set-up is good with all the tea & coffee you can drink. You will find nothing better so close to the city. Amazing location, 5 min walk to Circular Quay. Good size room, quiet location great for sleeping! Breakfast facilities are good, as much tea coffee you can drink, with fresh milk.. all round great value. The room wasn't spacious, but it was more-than adequate. Clean, comfortable, with small fridge and tea/coffee facilities. Free wi-fi. Staff excellent. Great central city location.would stay there again. We loved our stay at the grand hotel. It is within a couple blocks of the train station and about seven blocks from the harbor, so transportation was made easy. It is also by far the cheapest (and best value) hotel in the area. A heads up - if you are arriving late in the day, check-in is at the bar. The elevator is also a little finicky. We stayed in a triple room. It was simple, without AC, and there was a little noise outside, but overall what we needed and expected. Our favorite part of the stay was visiting the kitchen area. It is set with a corner window that overlooks the city. The view is serene and the breakfast cereals were a pleasant surprise. If we ever have the opportunity to visit Sydney again, we will absolutely stay here! Value for money, excellent location, comfortable room. Our stay was absolutely awesome! The hotel is strategically located in the city within minutes walk away from almost everywhere. The Wynward station is just right across the road and makes it convenient to catch a train to almost anywhere. There is a breakfast room which provides breakfast cereals, fruits, milk, biscuits and breads 24 hours a day at no extra cost. 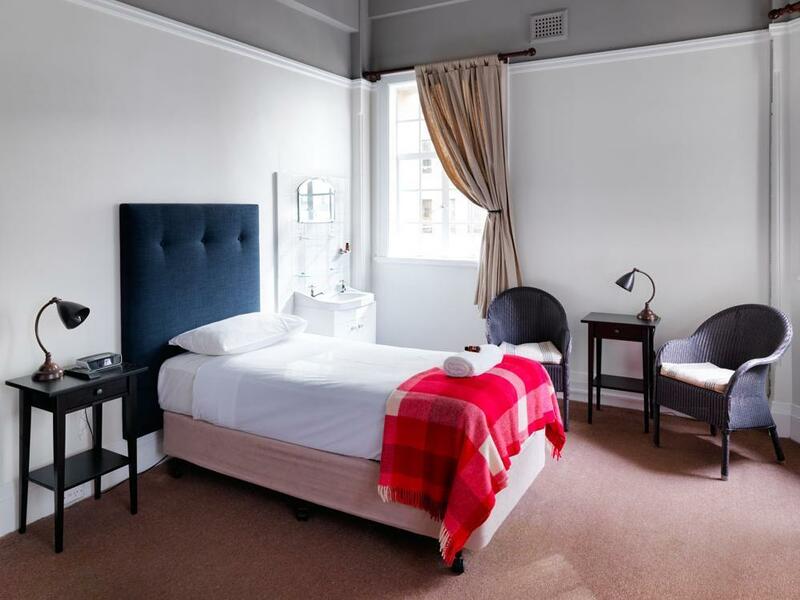 It is overall value for money for the budget conscious and the best hotel in this range. There are 2 pubs at the lower floors and may be a bit noisy for some. By the time I got back to the hotel, I was too tired and the music didn't bother me at all. It's a value for money offer in the heart the Sydney harbour / CBD area. Almost all museums, aquarium, zoo, hyde park, Sydney harbour, opera house, darling harbour in walking distance. 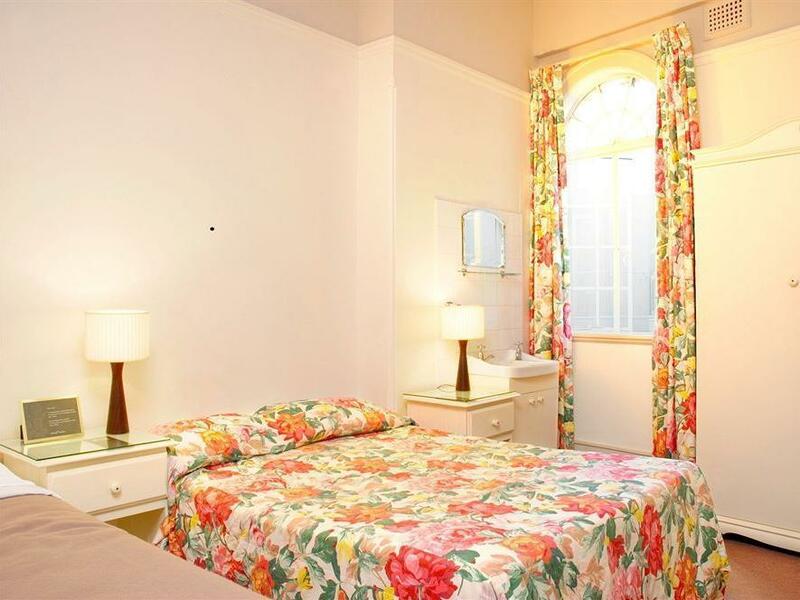 Rooms were moderately clean, and common shower and rest room found to be okay. The only thing that the hotel need to improve is a separate check in place. One cannot go inside a busy bar counter to check in ( first time in my life I checked in a busy bar counter )... No indications mentioned at the entrance/ lift lobby about where the hotel is located. Some signage may help. A big fat cockroach greeted me upon arrival... then an unflushed toilet when I visited the common bathroom! The single rooms are dark- you can't tell if it's day or night. And the wifi signal is so weak as to be useless. The elevator does not go to the 5th floor and was stuck 3 times during my weekend stay forcing me to walk 5 flights. First of, this is a 2 star hotel above a pub. If you are looking for value then look no further. Safe, secure, comfortable and cheap! Great pub below with helpful staff. English bloke who was working Friday the 19th, keep up the good work. Considering a car park in the same area is about half the price I'd consider this place a steal. A step above hostels at the same price and a better location.